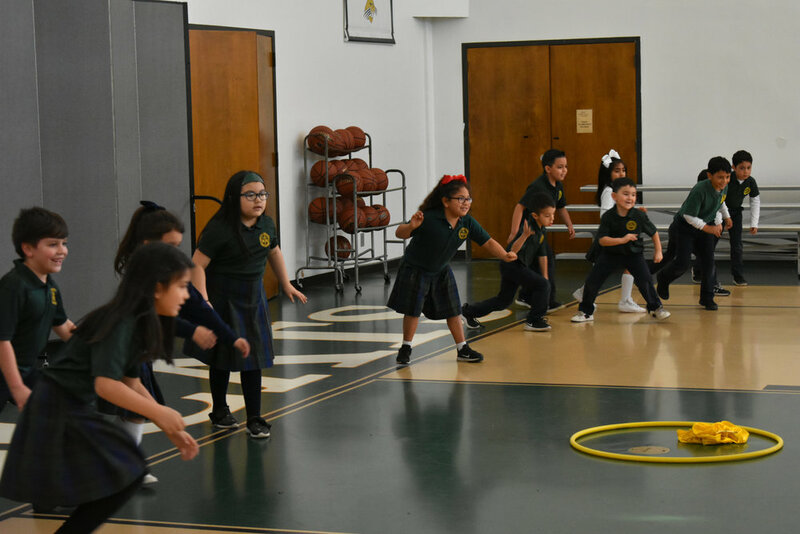 In Physical Education classes at St. Ignatius Martyr Catholic School, students engage in various cardiovascular and coordination activities, leadership skills, strength training, and general sports skills. All of our students are nurtured in this development appropriate to their age and ability. Physical education is an important component of the total education. We follow a curriculum with age-targeted objectives. Students play games that practice balance, coordination, rhythm, kicking, throwing, and jumping. Students are introduced to the fundamentals of team and individual sports, which include skills, rules, and game strategy, as well as health and physical fitness.